A kingdom of isolation and it looks like I'm the queen"
the Queen of Arendelle that inadvertently turn her kingdom to be in eternal winter by her icy power. 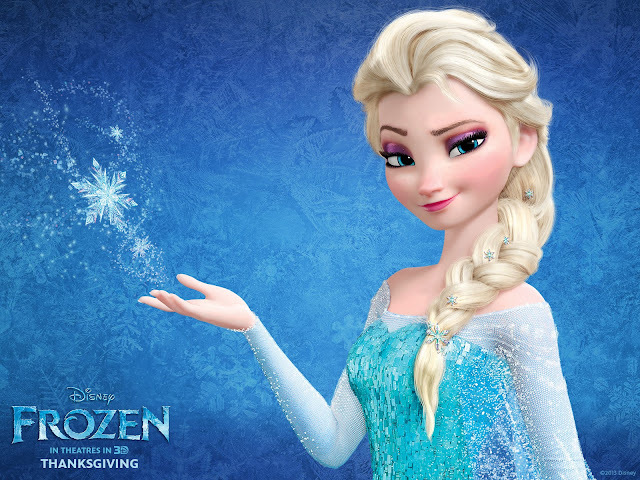 Like other Disney Princesses, Elsa is such a beauty (well, I am sorry, Elsa is a Queen) heeheehee.. Anyway, from the first time I saw the trailer of this movie, 'I want to recreate the makeup! ', that's what I thought. Before move to the next step, I would like to inform you something that I didn't write in the picture bellow, all eyeshadows I used in this tutorial were from Sariayu Eye Shadow Palette 25 Best Choice Colors of Asian Woman. Please also check out Elsa's little sister Anna, makeup tutorial. Looooving the theme. Gorgeous pictures. Where are your contacts from? What colour are they? Gaya dan ekspresi make up? Hmm, sebenarnya itu tergantung dari make up yang seperti apa yang mau kita buat, apa saja yang mau kita tonjolkan, make up mata kah? bibir? atau dua-duanya? Ada kalanya kita mau pakai eyeshadow yang cetar-membahana dengan eyeliner yang tegas, imbangi dengan lipstik berwarna kalem. Ada kalanya juga kita mau pakai lipstik merah tapi nggak mau terlihat menor, imbangi dengan make up mata simpel seperti eyeliner hitam pada mata misalnya. ehh hijabnya gmn? 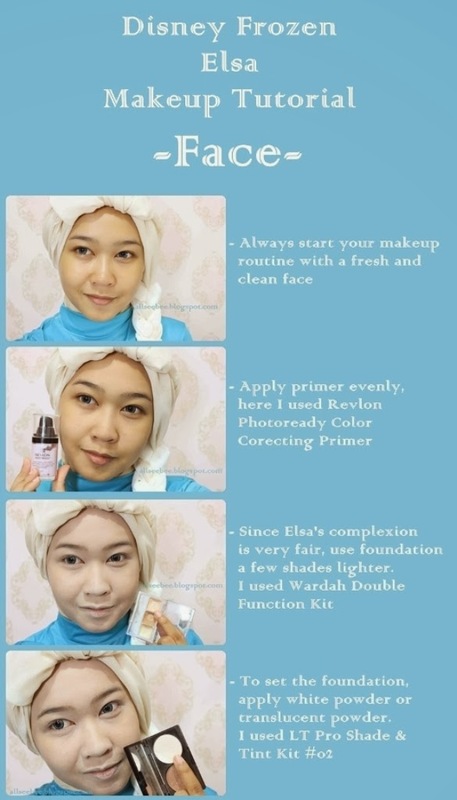 mau dong tutorial hijabnyaa keren.. I made the tutorial right away after reading you comment. Assalamualaikum.. hy aldila.. slam kenal yaa.. suka banget makeup nya, simply and fresh.. like it..
Itu jilbabnya kreasi sendiri ? Asli Ini kreatif banget, Keren say. :) dari makeup pemilihan warna dll. wow! baguuuusnyaa. i love it! how do i pin this? do u have a pinterest account?